Tamil National Alliance (TNA) MP for the Jaffna District M.A. 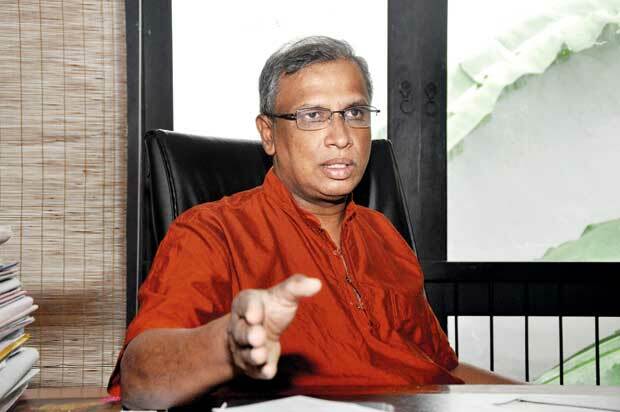 Sumanthiran, in an interview with the Daily Mirror, shares his views on the Constitution making and the way forward. He says his party remains optimistic about a positive outcome. Q How optimistic are you of the Constitution making process? Well, this is a one’s in life opportunity. It is, in fact, once in the life of a country opportunity. This problem has been with us ever since Independence. Every time, when the party in office makes any effort to resolve it, the party in the Opposition opposed. It happened in 1957, 1965 and went on like that. After many consequences, particularly large scale violence, there was a process from 1994 to 2000 to build a Constitution. But, in August 2000, when a bill was brought to Parliament, the main Opposition opposed. The party came to power within two years of that and took some efforts by signing a Cease Fire Agreement (CFA). Then again, it was moved out of power by the other party. This is the first time ever in the history of this country that the two main parties have come together. The leader of the Sri Lanka Freedom Party (SLFP) is the President, whereas the leader of the United National Party (UNP) is the Prime Minister. They have formed a national government for the very purpose of resolving this issue by bringing a new Constitution acceptable to all the peoples of the country. We supported this effort from the time a common candidate emerged in November, 2014. Though we sit in the Opposition, we and the JVP have been supportive of the National Government‘s effort to draft a new Constitution that has the agreement of all the people. We have made significant progress which made me optimistic. One year ago, a resolution was adopted. Then, the Steering Committee was formed. It has met 45 times. Six subcommittees were appointed. They have given their reports. All of the decision made so far in the Constitutional Assembly and the steering committee, have been unanimous decisions. That gave us hope that it was possible to reach the largest consensus in this work of drafting a new constitution. Q The SLFP is categorical that it is for a unitary form of governance, and not ready for any compromise on the foremost place accorded to Buddhism. How do you expect power devolution in that context? The SLFP, or anyone for that matter, can take a position. The UNP election manifesto also speaks of a unitary state. It only means they accepted the people’s verdict and the mandate given to the President. They cannot put forward their defeated ideology. Then, they should sit in the Opposition. That is a significant mandate given to President Sirisena to abolish the Executive Presidency. In fact, when he announced his candidature, it was the first pledge he gave to the country. He repeatedly said he would not contest again. Now, that was the promise he gave to the people. People have elected him on that promise. It is not for those who opposed him to come and ask not to abolish the Executive Presidency, and to contest again. It does not fall within their purview now to say that. President elected to abolish executive presidency. Q What is the extent of the amount of power you expect to be devolved in the whole process? We have discussed this at length in the Steering Committee. What we found was that we did not need to start from scratch because, in the past, there have been many, many processes. There has been substantial consensus on the last of them. 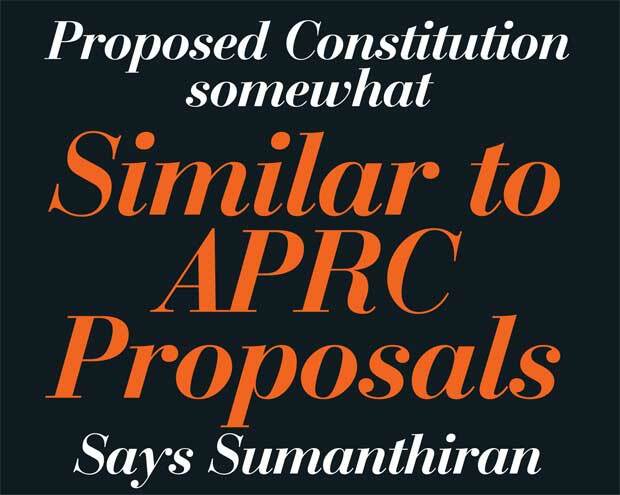 That is the APRC process instituted by Mahinda Rajapaksa as the then President. Before that, it was the 2000 bill of former President Chandrika Bandaranaike Kumaratunga. That had a large consensus around it. The UNP was the only party that opposed it. It opposed because of the transitional provision, not for the content. Mahinda Rajapaksa was a Cabinet Minister then. It was with the Cabinet approval that the bill was brought to Parliament. He did not object to it. All of these Ministers whom I mentioned now were all in the Cabinet at that time, when they brought forward a bill without the word unitary. It did not have the word ‘unitary’. So, what we are now trying to do is to look at all these different processes starting from the Mangala Moonasinghe Select Committee, and come up with a document that incorporates all of these. It does not go beyond any of these. There is no room for anyone to object to any provisions. Any of the provision to be contained in the new draft is the provision they have agreed to in the past. Q How do you specify the extent of powers to be devolved? We have the draft bill of former President Kumaratunga, to which all of these people agreed. We are not even going that far. It might be somewhat similar to the APRC report proposals. It recommended the abolition of the concurrent list. There is nothing anyone has ever objected to. The premise is one undivided, indivisible country. It cannot be divided even in the future. That is the matter that all are agreeing. That is a matter we, ourselves, suggested. Now, within that framework, we are trying to see how governance can be taken down to the lowest level. One difference between the other proposals and what we are looking at is that there will be power-sharing at three levels- the central government, provincial levels and local government levels. We have a separate list for local governments as well. What can be done at the local government level should not be taken to the provincial level. There are many things that cannot be done even at the provincial level- national security, foreign affairs and lots of other things. It is a model where people have access to governance in their locality. 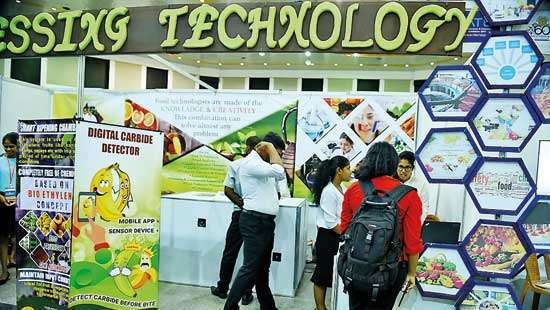 They do not have to come to Colombo for everything, not even to their provincial capitals. Q When you talk about participation of people in governance, there is a school of thought that it can be done by decentralization of power under the centre rather than devolution. What is your view? There are two levels. What is being given to the local governments is decentralization. The local government bodies do not have law making power. They can only make by-laws. But, to the provinces, it will be devolution of power. The reason is that this is as much as a solution to the national question as it is about taking governance close to people. It is also about people whose number is fewer in the country, who have access to governmental power at least in the areas where they are a majority. For that, it has to be power sharing. Q How do you link guaranteeing Fundamental Rights of people with power devolution? Fundamental Rights can be guaranteed in the Constitution. Even now it is there. The Subcommittee on Fundamental Rights has now extended those rights. That is not the issue. If there is only a central decision making body, the minorities can never make the decisions. As for power sharing with the centre, foreign relations should be vested with the centre. You cannot have nine different foreign relations. It should be one country. The principal of subsidiary will dictate what can be done at the lower level and at the higher level. There should be one standard, for instance, health. It is devolved now. But, there should be uniform standard, for example, issuing licences to doctors. "It only means they accepted the people’s verdict and the mandate given to the President. They cannot put forward their defeated ideology. Then, they should sit in the Opposition. That is a significant mandate given to President Sirisena to abolish the Executive Presidency. In fact, when he announced his candidature, it was the first pledge he gave to the country..."
Q What about defence power? Defence will be entirely in the centre. Q What about public finance? It has to be in the centre. But, there will be certain measures of fiscal independence. 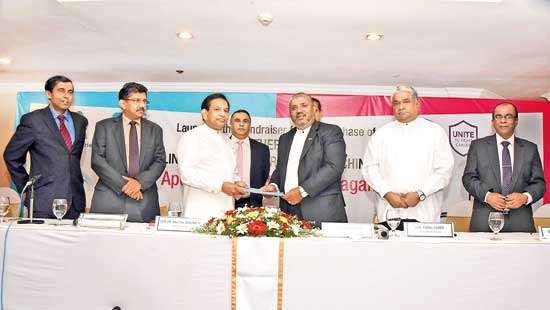 Even now certain taxes can be levied by the Provincial Councils. So, not only levying taxes but also receiving grants, negotiating loans for which the centre must grant approval. But, in order to develop their regions, they must have funds. If you talk about financial power, they will be mostly retained in the centre, but, with enough space for the provinces to manage those finances. Q Sri Lanka is a country long affected by separatist ideology. In this manner, if more and more independence is accorded to the provinces, there is fear whether it will lead to the partition of the country at one point. How do you respond? Actually, it will be the opposite that will be achieved. The whole separatist movement was there because there was no power sharing. It is a clamour for political power that brought about the separatist movement. In the 1972 Constitution-making process, if some of the views of the Tamil parties were accommodated, this would not have happened. When they were excluded from national life, they wanted to be left alone. They said, “We will go our own way. In 1987, that was redressed somewhat. Tamil was made an official language. The Provincial Councils were created. That was how the 13th Amendment came into being. But, it is not a meaningful structure for devolution of power. There are reasons for that. 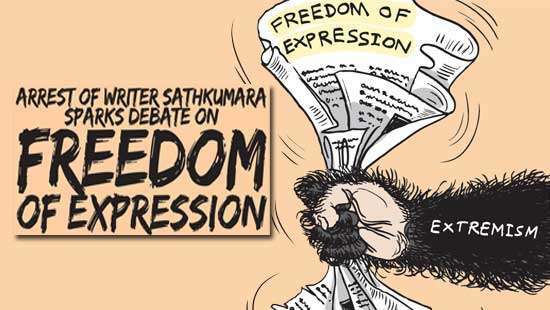 That was why, even Mahinda Rajapaksa, during his Presidency, and continuously gave assurances that he would fully implement the 13th Amendment. He said he would even go beyond to make devolution meaningful. When he said that, he was admitting that the 13th Amendment was not meaningful. Q Though you talk about one country, we hear a lot of voices that speak of separatist trends in the north. What is your position on then? They come because a lot of our people are cynical and sceptical about this process. They constantly criticize us. They say we are being foolish. Tamil people have been taken for rides continually. The governments which signed pacts tore them up. We have been cheated constantly. There is scepticism. Personally, I feel they are justified in their positions because successive governments have cheated the Tamil people. The only way to address that scepticism is to prove them wrong. "They come because a lot of our people are cynical and skeptical about this process. They constantly criticize us. They say we are being foolish. Tamil people have been taken for rides continuoually. The governments which signed pacts tore them up. We have been cheated constantly. There is skepticism. Personally, I feel they are justified in their positions because successive governments have cheated the Tamil people. The only way to address that skepticism is to prove them wrong." Q How strong is the separatist ideology in the north? That is not strong at all. There is no separatist ideology at all. It is a sense of despair that nothing is achievable. Q There is debate over the current foremost status accorded to Buddhism as the majority religion. What is your view on it? We are trying to create a modern Constitution that assures equality to all the people. I do not think anyone in this country will dispute that all the people must be equal. You cannot, on the one hand say everyone is equal, and then say Buddhists have foremost place. That is the contradiction. That must be understood by the Buddhists also. At the same time, we recognize that history of Buddhism and the history of this country have a very close relationship. There is in fact a special place for Buddhism in this country. We are not grudging that fact. We are willing to accommodate that. Special place to Buddhism is something we will readily agree to. But when you say it is foremost, it says better than the others. That thinking is not consonant with the idea of equality.
" Mahinda Rajapaksa was a Cabinet Minister then. It was with the Cabinet approval that the bill was brought to Parliament"
Q But, even under the present Constitution, Buddhism is given the foremost place. But, Buddhists are not given foremost place. They are considered equal with others. How do you respond? I grant that. That is why I say a special place to Buddhism must be given. The State must treat all religions equally. Because of the special place, there is duty to be cast upon the State to protect and foster Buddha Sasana. We do not mind it. That can be given so long as whatever place given to Buddhism does not affect the equal rights of other religions. Q When you equalise rights, does it mean the right to propagation of religions? It includes everything. Whatever the Buddhists can do, others must also be able to do. That is equality to people having faiths or without faiths even. On religious ground, there should not be any discrimination. Q In your view, what are the rights denied to minorities because there is no power devolution? That is the right to decision making. The Constitution Assembly of 1972 is a good example of it. When there is a permanent majority and there are permanent minorities, decisions will always favour the majority because they are large in number. It is to balance that inequality, at least in areas where they are the majority, that some power is given. Power means decision making power. "We are trying to create a modern Constitution that assures equality to all the people. I do not think anyone in this country will dispute that all the people must be equal. You cannot, on the one hand say everyone is equal, and then say Buddhists have foremost place. That is the contradiction. That must be understood by the Buddhists also. At the same time, we recognize that history of Buddhism and the history of this country have a very close relationship"